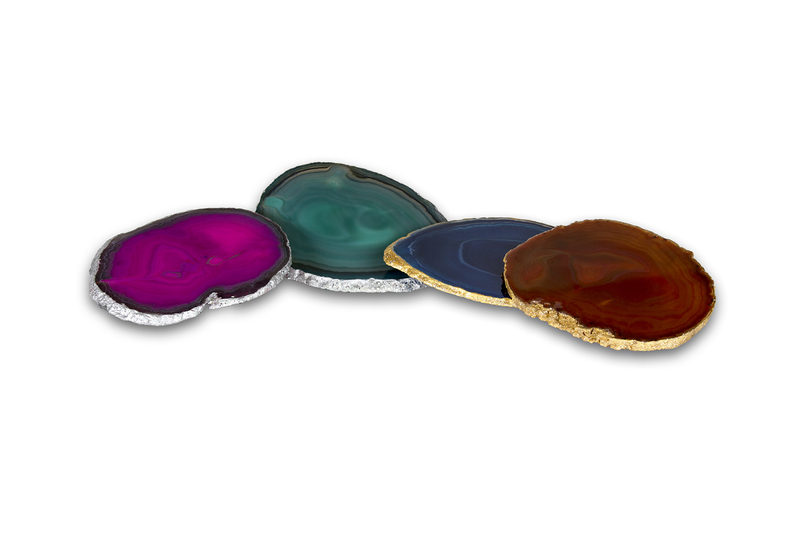 The vibrantly colored agate pedestals are edged in gold or silver. The colors really are vibrant. 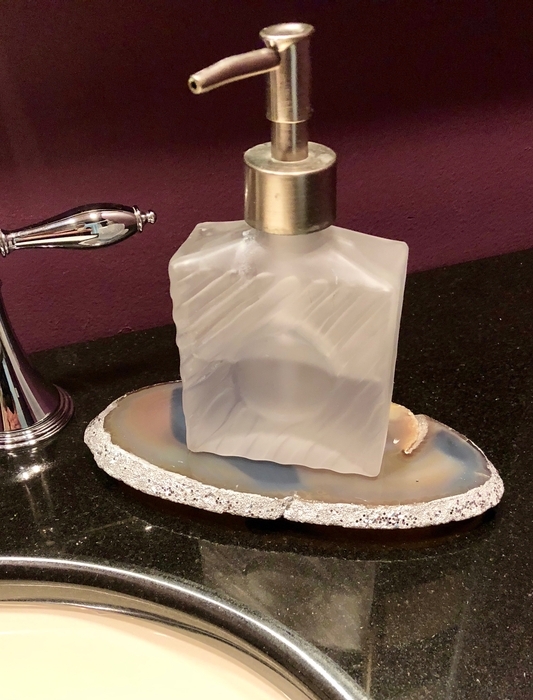 Sometimes its just the perfect pop of color that is needed in a powder room with a pretty soap dispenser on it. Each one has color coordinated glass feet- pretty from all views. Everything really looks better on a pedestal! Not pictured but available, is a brown color as well.